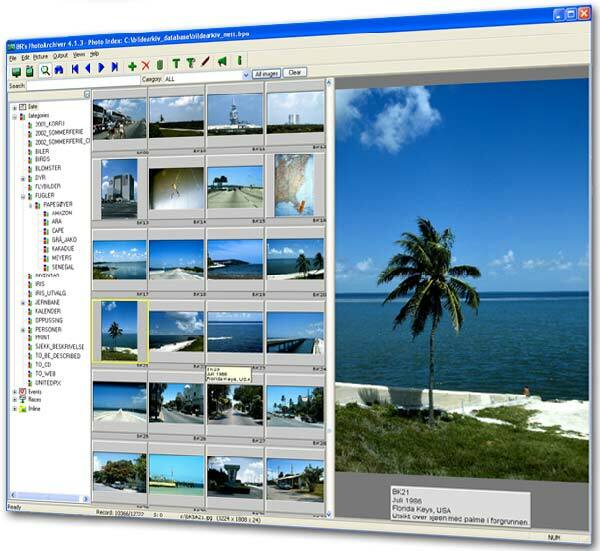 BR's PhotoArchiver makes it easy to organize and manage your digital photos. Annotate your photos quick and easy. Browse for photos by year, month, place, event, category, CD, or folder. Share your pictures by making autorun CDs, web-pages, and prints. Keep track of multiple versions of each photo. View thumbnails. Create insert-and-run CD of selected photos. Automate creation of web-pages. Print thumbnails, photos, and reports etc. ...... With BR's PhotoArchiver you will find it in just seconds. And wouldn't you like to easily share your digital photos with friends and relatives? BR's PhotoArchiver can help you. NO BRAKES: 4x4 RACING is a racing simulator for PC. Stimulate your brain with 16 different activities covering Language. New concept breakout to blow your socks off! Qweas is providing links to BR's PhotoArchiver 4.2.12 as a courtesy, and makes no representations regarding BR's PhotoArchiver or any other applications or any information related thereto. Any questions, complaints or claims regarding this application BR's PhotoArchiver 4.2.12 must be directed to the appropriate software vendor. You may click the publisher link of BR's PhotoArchiver on the top of this page to get more details about the vendor.